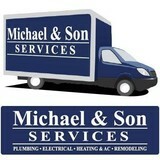 We are a small Plumbing company,it's me and my father rite now. 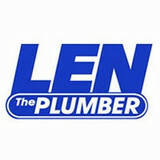 He has over 30 yrs experience in contracting and plumbing services and I have 15 yrs. we provide professional neat work at a affordable price. We have free estimates and a one yr. Warrenty,give us a call today!! JED is a full-service residential and commercial water line, gas, and plumbing company specializing in environmentally friendly sewer repairs, cleaning, and restoration. By utilizing environmentally friendly sewer repair techniques such as Trenchless Repair Technology and Cured In Place Piping, JED Mechanical is able to perform full inspections, repairs, and restorations with minimal damage to the landscape or environment. With over 60 years of experience, JED Mechanical has a proven record of providing exceptional customer service and care to all clients on every project. This veteran-, minority- woman-owned small business (WOSB) has been serving clients needs since 1949 and is experienced with all facets of residential plumbing and gas service. JED is ready to satisfy any contracts offered by government associations or private companies, as well the everyday needs of our neighborhood homeowners. A plumbing contractor handles the installation and repair of water, sewage and natural gas pipes throughout a home, as well as interior and exterior faucets and fixtures. Plumbing contractors are also trained to work with water mains, septic tanks, laundry appliances, water heaters, sump pumps and other plumbing and pipe systems. Because plumbing repair work is done largely behind walls and beneath floors, some plumbing companies can also patch or replace tile, stonework and other surfaces. Although some Woodbridge plumbers are generalists, others specialize in specific areas; a 24 hour emergency plumber will handle urgent residential repairs, while others may be more skilled in remodeling, natural gas lines, overhead sprinkler systems and more. Find a local Woodbridge plumber on Houzz. Narrow your search in the Professionals section of the website to plumbing contractors in Woodbridge, VA. You may also look through photos of Woodbridge, VA projects to find a licensed plumber who has worked on a project similar to yours. Here are some related professionals and vendors to complement the work of plumbers: General Contractors, Septic Tanks & Systems, Kitchen & Bath Designers, Kitchen & Bath Remodelers.